18" BBS CH-R any one running them? as above, i have seen several cars on here running the BBS in 19's but does any one on here have them in 18's? Re: 18" BBS CH-R any one running them? plus BB forum search function "18x8 et40"
Few of mine but it needs lowering now, will also go wider on the front. LCI M135i AW with Coral, Auto, Media Pro, HK, Adaptive LEDs, BBS CH-R, JB4, BCS Sports cat & MPE. I was looking at a set of OZ Formula HLT but these turned up second hand so it made more sense. M135i Lci, Alpine White, Coral Red Leather, Driver Comfort pack, Sun Protection Glass, BMW Advanced sound. H&R Springs, Milltek Sport Non Resonated CatBack, BBS CH-R, Yokohama AD08R, JB4, Decat, Kerscher Splitter, AutoID Mirrors. Really tempted by a set of these BBS wheels Apr-Oct and using the original wheels with some winter tyres Nov-Mar. Last edited by billyM135i on Fri Aug 24, 2018 7:30 pm, edited 1 time in total. 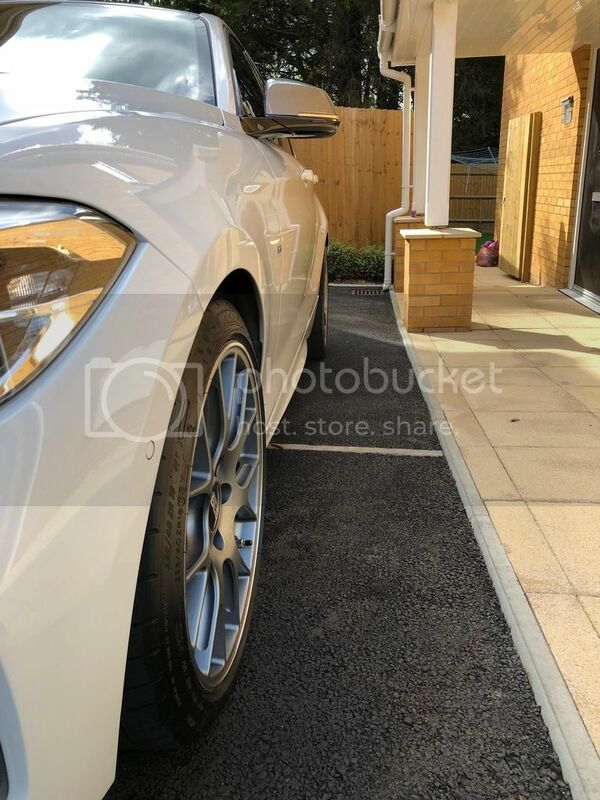 2013 M135i (Estoril Blue, Red Leather, Auto, Adaptive Suspension, Prof Nav, heated seats, speed limit display, rear parking sensors, black panel display. M Performance Exhaust, K&N Panel Filter, Eibach springs, wheel spacers, Maxton splitters). 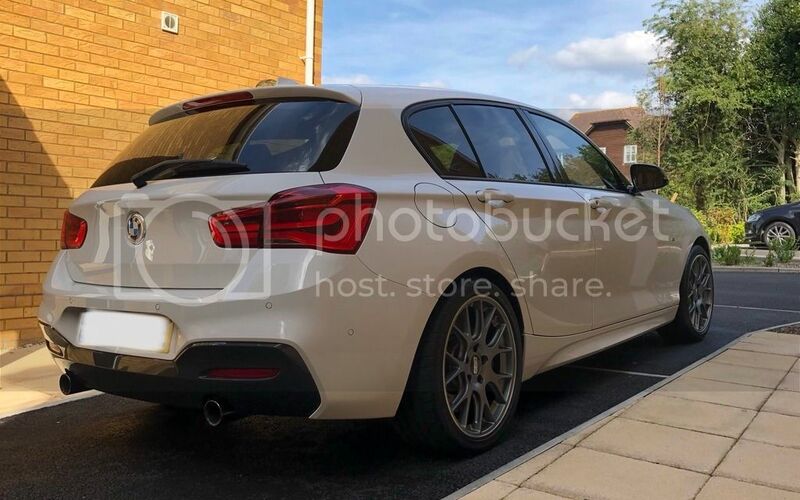 Really tempted by a set of these BBS wheels Nov-Mar and using the original wheels with some winter tyres Apr-Oct.
Set of Toyo winters in correct size on original wheels, then the supersports on something else. Do like the look of these BBS wheels. No way would I run 19" wheels on our roads! Too much style over function. don’t you mean the bbs for summer and original wheels for winter? These are mine (18") in anthracite grey, no springs or spacers - all OEM other than the wheels. 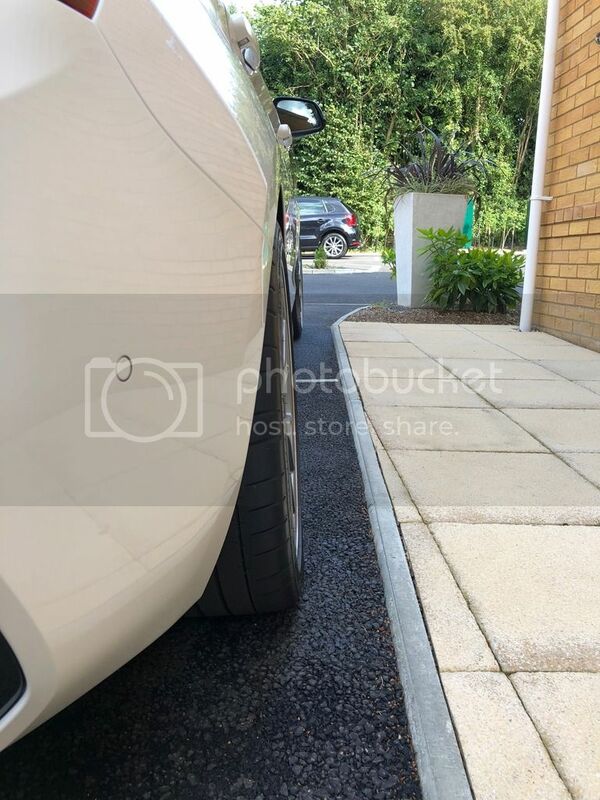 How do the original sized supersports sit with the half inch wider fronts and one inch wider rears? Stretched?